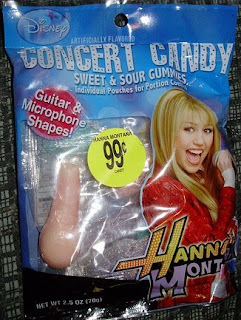 The package says that the gummies are "Guitar & Microphone Shapes!" --glad they stuck the exclamation point in there, for otherwise I wouldn't have gotten the full effect--but it seems to me there's a something a little penile going on. All for only 99¢. 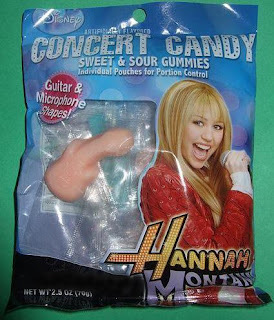 And some of you thought that Miley was the pop cultural equivalent of an overpriced call girl. Thanks, Pink, for helping us to laugh at Miley Cyrus...again, and again, and again.